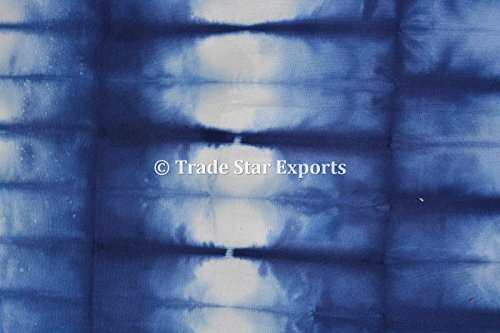 Shibori is a dyeing technique that typically involves folding, twisting or bunching cloth and binding it, then dyeing it in indigo. 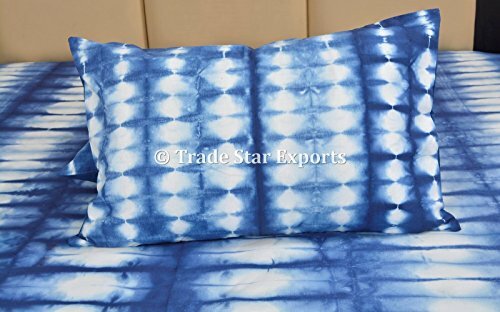 Indian Bandhani, a traditional form of tye and dye, began about 5000 years ago. 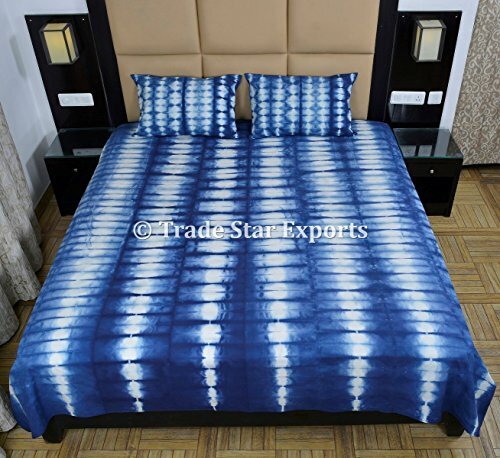 Also known as Bandhni and Bandhej, it is the oldest tie and dye tradition that is still practiced. 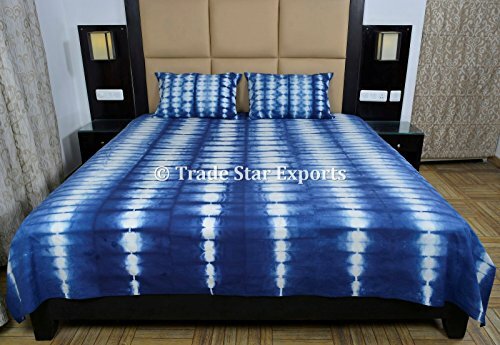 The Art of Bandhani (Tye & Dye) is highly skilled process. 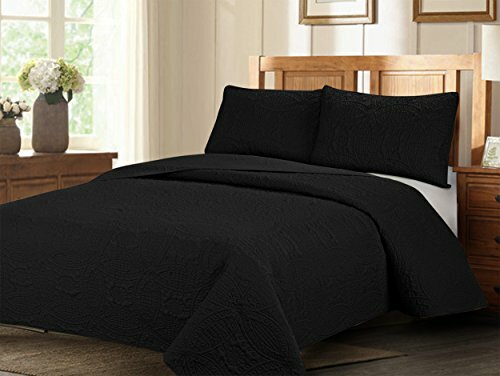 The technique involves dyeing a fabric which is tied tightly with a thread at several points,thus producing a variety of patterns. 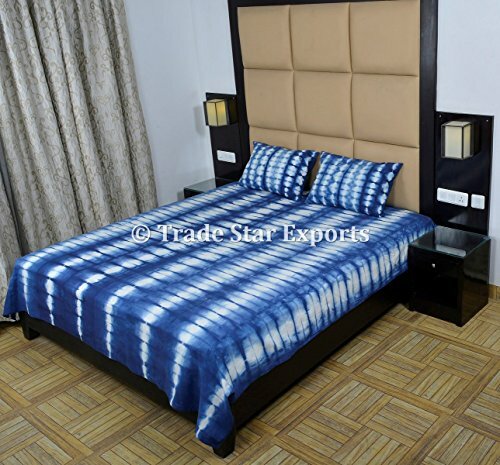 These Exclusive Handmade Bedspread is Shibori printed with beautiful Indigo Color, the fabric is 100% high quality cotton which gives a wonderful color effect and feel to the fabric. 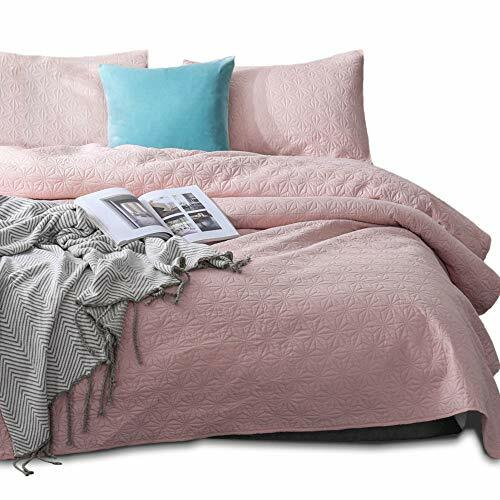 This beautiful Bedspread is sure to change the ambience of the room Note : Actual Product may differ slightly in color then the photographs depending upon the screen resolution.